The 2019 GRIN State Meet is Set! Congratulations to the Terre Haute Torpedoes on being named meet host for the 2019 GRIN State Meet! Taking place on April 6-7, 2019, at the Vigo County School Corporation Aquatic Center in Terre Haute, Indiana, this year’s State Meet promises great competition in a fast pool. The Vigo County School Corporation (VCSC) Aquatic Center is located at 2230 Prairieton Road, Terre Haute, IN 47802. 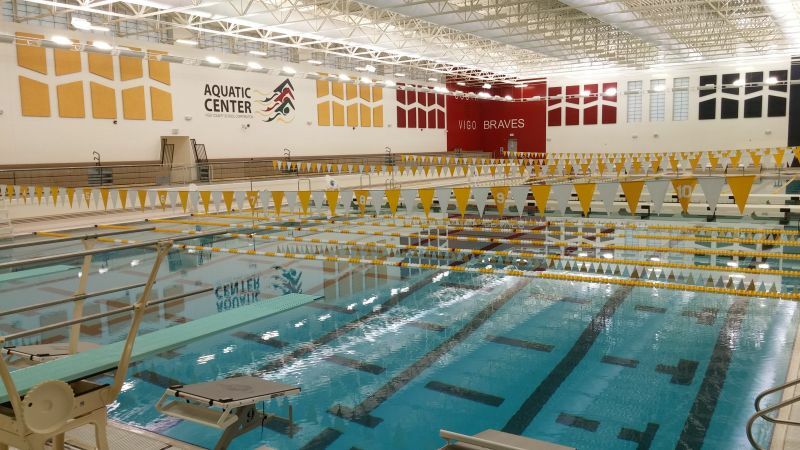 The VCSC Aquatic Center is a state-of-the-art facility featuring a 10-lane, 50-meter competition pool with 2 moveable bulkheads to allow for separate competition and warm-up / warm-down pools. Their Colorado Timing System features a full-color LED matrix scoreboard capable of showing full meet data and approved advertising. The facility also includes spacious locker rooms, offices, a large classroom, and a concession stand – all designed to handle the needs of a large event. At the U.S. Masters Swimming Annual Convention, GRIN Chair Lisa Brown was honored as a 2018 Dorothy Donnelly Service Award recipient. 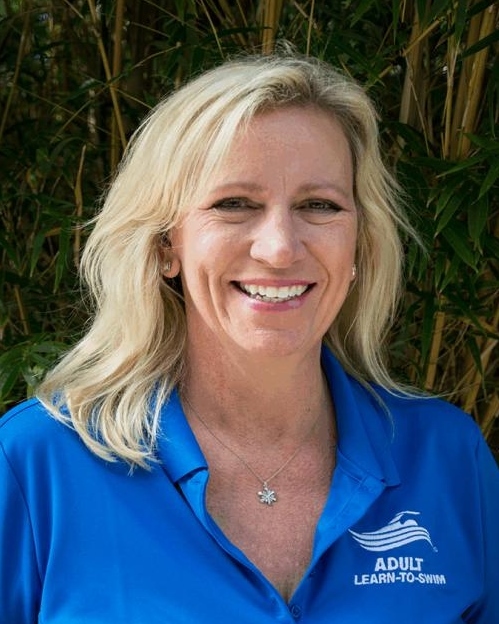 As founder and coach of the Indianapolis-area Masters team, Zionsville Aquatic Masters, Lisa’s group has grown from infancy to a bonafide competitive team in just a few short years. Her program has grown from just a few member to now almost 100 swimmers. Her coaching and teaching extends to Adult Learn-to-Swim programs, stroke clinics, and high performance camp education. As a normal course of her volunteer life, Lisa became very active within her Indiana LMSC as Board Chair. She has also served the LMSC in the role of Sanctions Chair. Lisa’s continued focus on regional reorganization and subcommittee mentoring for USMS has helped both the GRIN community and the larger USMS community thrive. In her free time, Lisa loves to compete in the “short” open water races (like the 10k and 25k races) around the country! Her professional background and leadership has helped her train and develop not only her swimmers in the Zionsville area, but swimmers and leaders throughout the state. Congratulations, Lisa, on your Dorothy Donnelly Service Award. Your success leads us all to a higher level. Thank you for your service! 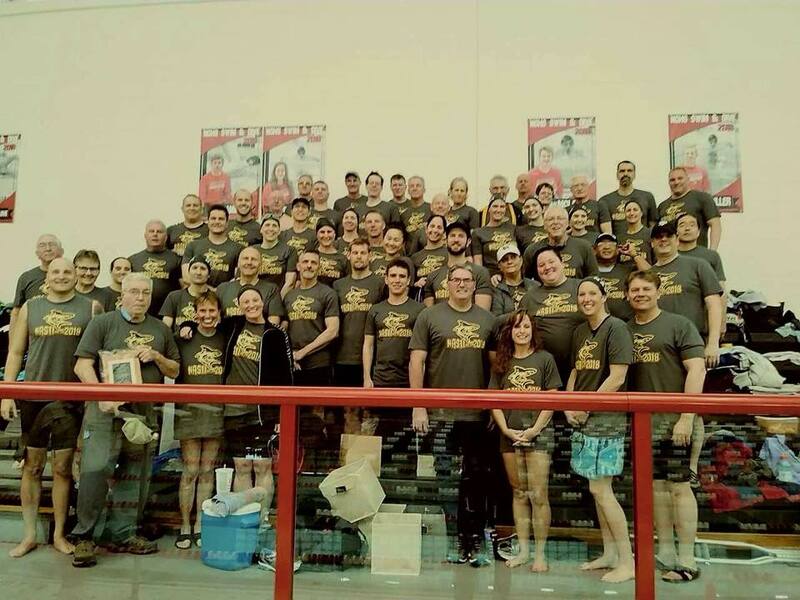 Greater Indiana Masters Swimming (GRIN) is soliciting bids for the 2019 GRIN State Championship Meet. Even if your program does not have the desire or facility to host the Championship meet, we encourage you to reach out to local age group and high school swim programs, colleges, and YMCA’s to let them know about this opportunity. Interested parties should download the 2019 GRIN State Meet Bid Packet for pertinent details and the application form. All bids (and any supporting documentation) must be submitted to the GRIN Chair, Lisa Brown, by October 20. The winning bid will be selected on or about November 1. The 2018 GRIN State Meet was a tremendous success and we are looking forward to working with next year’s host. Please contact either Lisa Brown or Karen Gernert with any questions. There will be a GRIN Board Meeting via conference call on Wednesday, May 16, from 8:30 – 9:30p (EDT). All GRIN members are invited to call in. The main topics of discussion will be a review of the 2018 GRIN State Meet and USMS Spring National Championship, a plan for the 2019 GRIN State Meet, and any new business. Please be sure any Club Representative changes are submitted to the GRIN Secretary by 12:00 Noon on May 14. Let your voice be heard!